As Manchester United are set to face Dutch giants Ajax in the Europa League final, we look at top stars that have lined up for both clubs. The Dane started at Ajax in 1981. His mesmerising skill and pace helped him beat oppositions. He is credited with devising the “passed penalty” with Johan Cruyff. Rather than kick a penalty, Cruyff passed the ball to Olsen. Olsen returned the favour to confuse the goalkeeper before Cruyff buried it. That happened in 1982 in a league match in the Netherlands. Olsen won two league titles with the club before moving to England to star for the Red Devils. He played from 1984 to 1988 before moving to France. The famous goalkeeper is a football legend. He played for almost a decade for the Dutch side starting from 1990. He lifted four Eredivisie title, three Dutch Cups, the UEFA Cup and a Champions League title in 1995. He moved to United in 2005 and replicated such brilliance until his exit in 2011. He lifted four Premier League titles, two League Cups and a Champions League title in 2008. Stam moved to Old Trafford highly recommended. He was the most expensive defender then when he moved for £10.6 million. He spent three years at the club, winning the Premier League each time. He fell out with Ferguson in 2001 and was eventually sold to Lazio. Ferguson went on record to say he regrets losing him. The current Unitedhitman was a star in the Ajax team from 2001 to 2004. 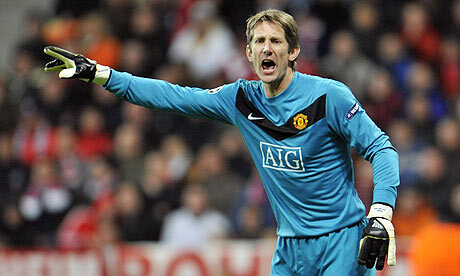 The 35-year old only moved to United last year but he has been a winner all his career. He won two Eredivisie titles and the Dutch Cup before he left Ajax. He has also featured for Juventus, Milan, Barcelona and PSG. Blind is a product of the Ajax youth system. He played from 2008 to 2014 before agreeing to move to Old Trafford. He has four Eredivisie titles to his name. it would be emotional to face his former club.